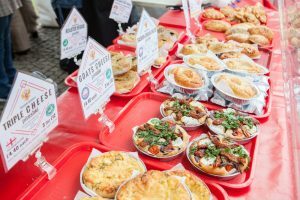 Blogger Joanne Ridley (sheffieldfoodlover.wordpress.com), takes us on a European tour of this year’s festival offerings. In my youth, sadly some time ago now…, I used to love to watch Rough Guide to Europe with Magenta Devine and Sankha Guha. Back when we still only had four channels and youth TV was a thing. The two presenters were impossibly cool and had me sold on the idea of exploring and finding out more about our European neighbours. Googling it now, the show only actually aired for a couple of years but it made a lasting impression on me and contributed to my love of all things European. I was such a Europhile that I went on to study languages at uni and then spent a year of my life living in France and 10 years in Germany. During that time I visited much of mainland Europe and made amazing memories, many of them relating to food. Let’s start in the northern-most part of Europe, the Scandinavian end. Coffika will be at the festival serving up their Swedish-style coffee. You may know them if you’ve ever stopped for a coffee in their Meadowhall outlet. Head up Glossop Road as well to try a Scandinavian style open-faced sandwich. Germany is most excellently represented by Get Wurst, offering what else? That German staple, the sausage. 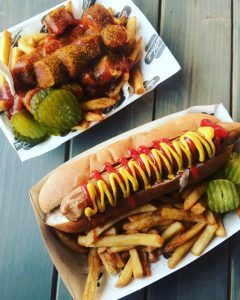 Specially imported from the Munsterland region of Europe and served in freshly baked brioche buns with pickles and sauerkraut, this is the place to get your Currywurst and beer-fried onions. If you want to head further east, SFINX restaurant in Attercliffe specialises in Romanian, Hungarian and German cuisine. Although many of us would probably be able to name some German or Hungarian dishes, Romanian food is probably not so well known but I’ve been lucky enough to work in Romania for a week or two and if you’ve not tried their food, trust me, it’s delicious. Heading towards France now, you can catch Mick Burke, Fellow of the Master Chefs of Great Britain, on Saturday 26th May showing you how to make the perfect souffle in the Theatre Kitchen in the Peace Gardens. He’ll be there from 15.30 – 16.00. Or head to the artisan market for an amazing macaron from Joni. There’s also traditional Breton crepes on offer from Ooh La Laa Crepes. As you would expect, Italy is also well represented at the festival and there’s no shortage of Italian options. Hit the Theatre Kitchen again on Sunday 27th May between 12-12.30 and you can see how to make fresh pasta using lovely ingredients sourced here in Yorkshire with Joe Hunt from Sheffield College. 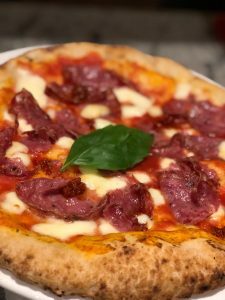 Proove Pizza will also be on site serving up their Neapolitan pizzas. If you want to head out of the centre to the suburbs, Gigi’s Cucina on Oakbrook Road offers special menus throughout the festival. Definitely worth a wander round that area if you have time as well to see the other foodie stops along that road. Another popular food option in the Mediterranean, Greece, is also showcasing at the festival. Many of you are no strangers to the Greedy Greek, they’re well established on Sharrowvale Road. 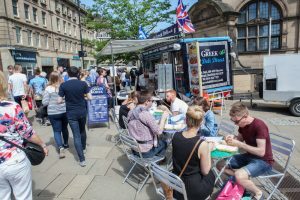 They’ll be attending so look forward to their delicious wraps, filled with everything from gyros, chicken souvlaki, lamb or beef kofta, halloumi or falafel. 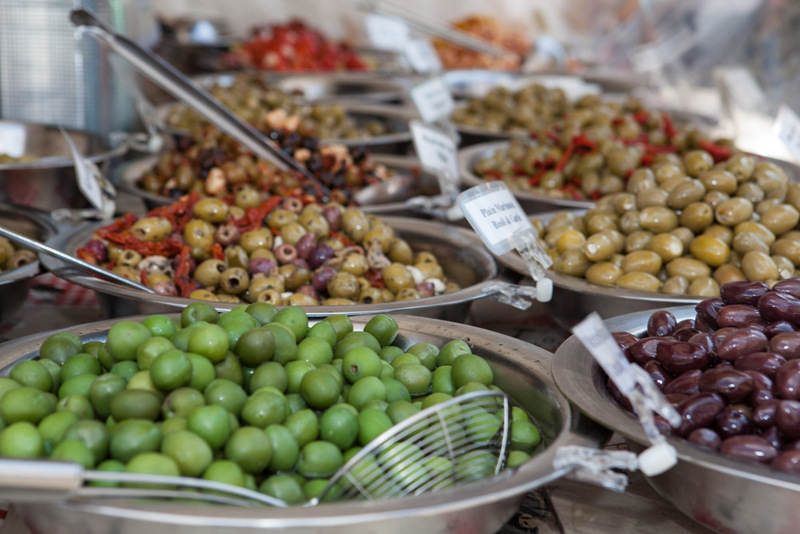 Acropolis and Suzannah’s Greek deli will also be trading at the artisan market, offering olives, nuts, feta and other Greek specialities. You can also try a Portuguese egg tart, albeit Chinese style at DaShu. The Ottomen are also here to cover all of your Mediterranean cravings with their delicious Mediterranean/Middle Eastern food offerings. So just a couple weeks now until the festival comes to town. Whatever your favourite place in Europe happens to be, the festival has it covered. It’s a great way to celebrate the diversity of the Sheffield food scene.